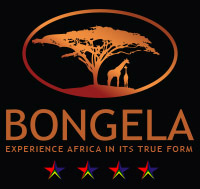 Bongela Game Breeders is situated 15km outside Vaalwater in the heart of the Waterberg Biosphere in Limpopo. The Sullivan family started Bongela Game Breeders in 2012 with the aim of breeding animals who have superior genetics with the purpose of re-instating the genetic material that has previously been hunted down. Our aim is to re-introduce and conserve the genetic characteristics of big horn length and mass, big bodied animals and animals that are close to being extinct. We believe that to establish game breeding as a sustainable industry one needs to breed for the end market, which is the local and international hunter. Bongela Game Breeders source their animals from top breeders who provide accurate records of pedigree and thus ensuring that we only buy the best genetic material available in the market. Through this process we pass on superior genetics to our customers. We believe that top quality animals are the key to a successful breeding programme and that the wider the gene pool the better the chances are to breed exceptional animals. This includes not only sourcing the best bulls and rams but also focusing on sourcing the best available cows and ewes for our programmes. By breeding with female animals sourced out of top bloodlines we aim to breed the best quality genes. Our breeding program was initiated with Sables and Nyalas and we have expanded the breeding to other species such as: Livingstone Eland, Buffalo, Golden Wildebeest, Black Impala and Hartswater Springbuck. We are very passionate about wildlife and the breeding of game. Bongela Game Breeders is still growing and expanding to new heights.